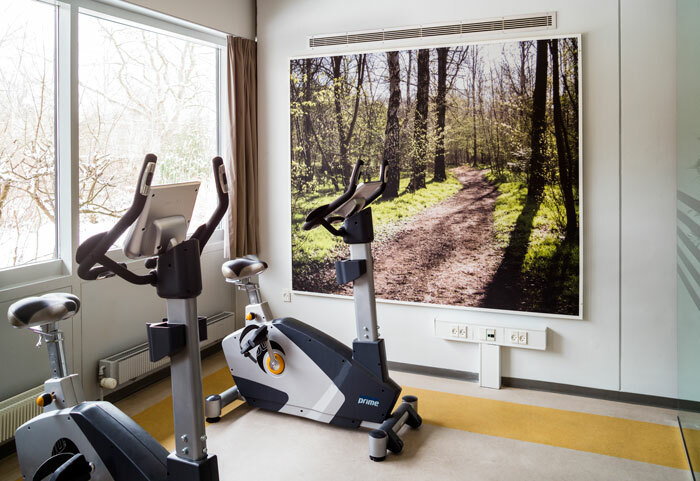 In the workout-room, two lovely and bright motives printed on acoustics-regulating boards. 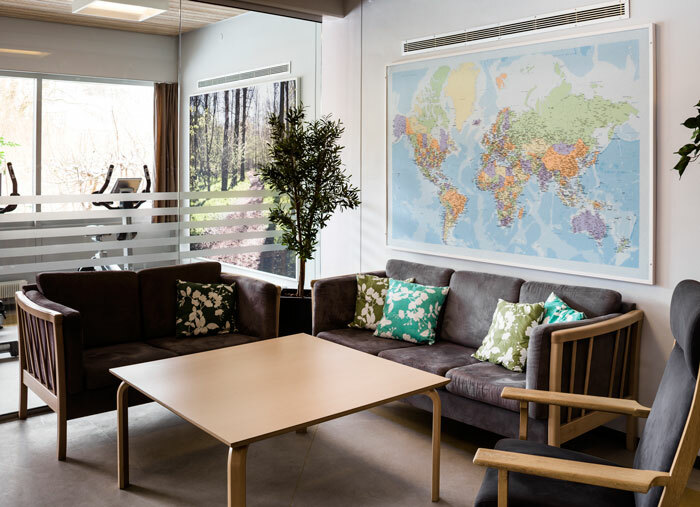 In the lounge a world-map as a starting point for conversation, have made the rooms more well-coming for patients and practitioners. 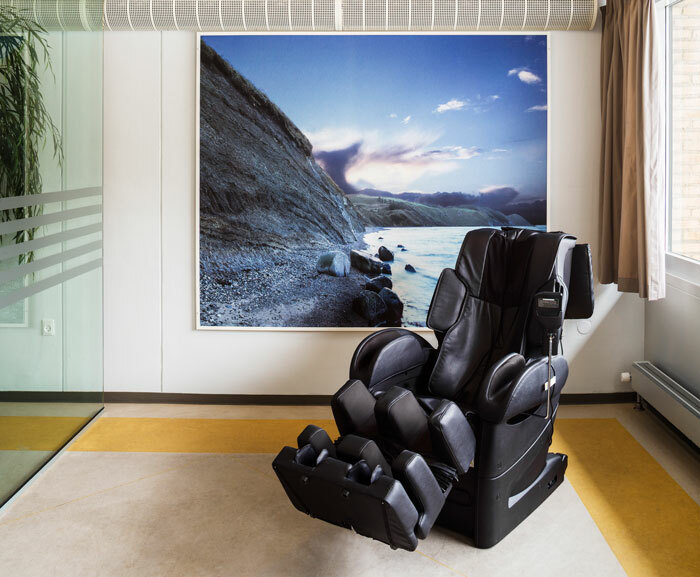 In collaboration with architect Lau Johansen, AG5 architects.